Add farmhouse charm to a blank wall with this beautiful cross stitch design. 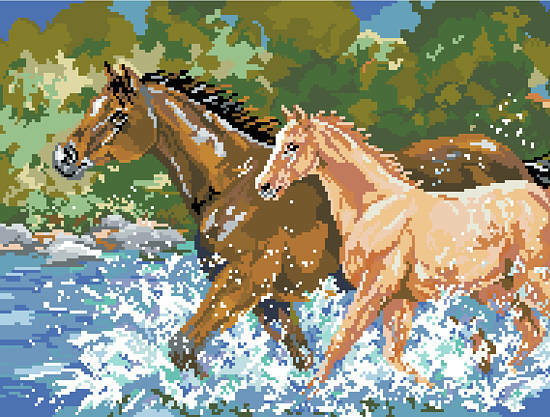 A stunning picture of these fine animals running through the water makes a great gift for the nature enthusiast in your life. Contents: Stitch Count 190w X 144h on 14 ct, finished size 13-1/2" X 10-1/4"